If the defendant provides a chemical sample, the defendant is guilty of DUI as a matter of law if his/her BAC was above the legal limit, which in Florida is .08. About the only defense in these cases is that the breath or blood sample was inaccurate, a difficult task that is daunting but not impossible – especially with the assistance of board certified trial lawyer and the resources to hire experts. However, in about a fifth of DUI cases, the defendant refuses to provide a chemical sample. In these situations, the prosecutor must rely on circumstantial evidence that is subject to interpretation. The jury’s interpretation, and not the prosecutor’s or police officer’s, is the only one that counts. Odor of Alcohol: If the odor comes from the car, it only proves that the driver had been in recent contact with someone who had been drinking. It does not prove that the driver had been drinking and certainly does not prove that the driver was intoxicated. Bloodshot Eyes: Alcohol causes bloodshot eyes, but so does fatigue, smoking, certain medications, and a host of other items. While normally sufficient to establish reasonable suspicion for the stop, such evidence usually does not always rise to the level of proof beyond a reasonable doubt, the threshold standard of evidence used in a criminal prosecution at a jury trial. One-Leg Stand: The OLS is a divided attention test which measures both mental acuity and manual dexterity. For this reason, prosecutors often claim that the defendant “failed” this test based on minor technicalities, such as slight use of the hands for balance or holding the leg up a fraction of a second too long. Walk-and-Turn: The WAT, which is also known as the heel-to-toe walk, may predict intoxication but only when administered under controlled circumstances. But at the scene of a traffic stop, it can be dark, cars are whizzing past, flashing lights are in the defendant’s face, and these adverse conditions make it almost impossible for anyone, drunk or sober, to successfully complete the test. Horizontal Gaze Nystagmus: Similarly, people who cannot follow fixed objects by moving their eyes without moving their heads may be intoxicated, assuming that the test occurs under controlled conditions and the test administrator is very well qualified. Other tests, such as the finger-to-nose test or the reciting-the-ABCs test, are not NHTSA-approved. Nevertheless, officers often administer them, partially to fatigue the defendants on meaningless tests and partially in the hopes that a defense lawyer will not object to their use. These test results are usually only admissible for limited purposes, or not admissible at all. All jurors in a criminal trial must unanimously agree that the crime charged has been proven beyond a reasonable doubt. That’s not easy for the prosecution to do in a DUI case. In Florida, “reasonable doubt” is an “abiding conviction” that the defendant is guilty because the only reasonable interpretation of the evidence is the interpretation which the prosecutor presents. An experienced criminal defense lawyer can create reasonable doubt in the minds of jurors. Circumstantial DUI cases can be won with the help of a board certified criminal trial lawyer. 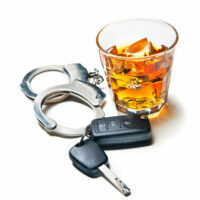 For a free consultation with an experienced dui defense attorney in Tampa, contact The Matassini Law Firm, P.A. Our talented legal team is prepared to assist you today.